DUAIV, highly recognized throughout the world and frequently featured at events such as Florida’s own ArtBasel, will paint an original work on stage with simultaneous projections of him at work on a large screen above the orchestra, while the orchestra performs music of Debussy. 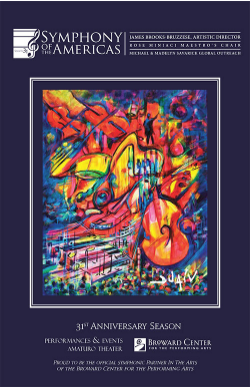 The completed art piece will be available as a benefit to the Symphony. 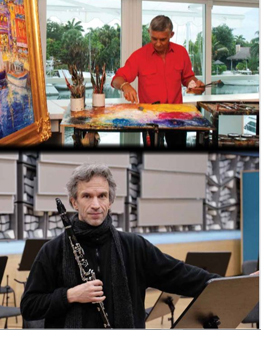 Dimitri Ashkenazy, clarinetist son of Vladimir, will travel from Switzerland to perform a concert of an Impressionistic composer to complete this evening of Visual Music Impressions. The Symphony of the Americas is celebrating its 31st Season under the artistic direction of Maestro James Brooks-Bruzzese, a 2005 National Hispanic Heritage Arts Award Winner, and 2009 Hispanic Unity Award Winner. By presenting a diverse orchestral repertoire complemented by award-winning international guests, the Symphony takes a leadership role in fostering cultural relations with the Americas, initiating musical exchanges throughout Europe, the US and Central/South America. Its performance home, the Broward Center for the Performing Arts. For further information about the Symphony of the Americas, please visit www.sota.org.